NASA plans to award one or more firm fixed-price VCLS contracts to accommodate 132 pounds (60 kilograms) of CubeSats in a single launch or two launches carrying 66 pounds (30 kilograms) each. The launch provider will determine the launch location and date, but the launch must occur by April 15, 2018. At present, launch opportunities for small satellites and science missions are primarily limited to ride-share type arrangements, flying only when space is available on NASA and other launches. NASA's Launch Services Program (LSP) seeks to develop alternatives to this approach and help foster other launch services dedicated to transporting smaller payloads into orbit. The services acquired through such a contract will constitute the smallest class of launch services used by NASA. This solicitation, and resulting contract or contracts, is intended to demonstrate a dedicated launch capability for smaller payloads that NASA anticipates it will require on a recurring basis for future science and CubeSat missions. The services acquired under the RFP mean NASA does not have to support a CubeSat launch vehicle on its own or pay for its development. The agency can buy the launch service as any other customer could and enjoy the savings since the rocket's costs are supported by a wide market of users. The boosters would be developed privately, and a single rocket would be able to send dozens of the tiny spacecraft into orbit at once on paths that best suit their scientific goals. Some of the tiny craft that contain experiments and sensors inside the form factor of a 4 inch cube may even be sent beyond Earth orbit to send back reports from deep space. NASA's CubeSat Launch Initiative provides innovators at non-profits, educational institutions, and NASA sponsor missions with an accessible way to participate in space exploration. Universities, science clubs and organizations with an idea for a Kickstarter campaign can afford to build a small satellite and compete to get it flown whereas traditional large satellites require a great deal more resources and involvement of many agencies and institutions to accomplish. For example, past CubeSats have been built with parts from smartphones, while others are a custom blend of materials and equipment. The next CubeSat launch opportunity through the CubeSat Launch Initiative will be released in early August. CubeSats already are used in the commercial sector for purposes, such as imagery collection and analysis, and are being used for operational purposes instead of being limited to research and development. "This will start to open up viable commercial opportunities," said Mark Wiese, chief of the flight projects office for LSP. "We hope to be one of the first customers for these companies, and once we get going, the regular launches will drive the costs down for everyone." The emerging uses are for data valuable to a number of industries including farming, shipping, data networking and the insurance field. The uses for the satellites, even as small as they are, require them to be in particular orbits in some cases, so piggybacking on the launch of another mission that may be heading to an orbit that is not as useful is no longer acceptable for the CubeSat market, Wiese said. Dedicated rockets for small satellites also will benefit NASA's missions by pushing cutting-edge technology faster from the research level to usable stage. A sensor that works well in the lab, but has not been flown in space will find it difficult to get a trip to Mars on a major spacecraft, for instance. On the other hand, if that sensor could be flown on a CubeSat and show its effectiveness, a future use becomes more practical more quickly. "It proves the technology for our larger spacecraft," said Garrett Skrobot, Educational Launch of Nano-satellite (ELaNa) mission manager. "If we find a sensor or a battery that works better, we can fly it on one of these and show whether it works. Then the team that uses it on something else does so with a lot more confidence." The drive comes as CubeSat designers learn how to build observatories capable of studying distant black holes and cosmic X-ray background to track geomagnetic storms of Earth's weather patterns. "As we drive costs down, that frees up more money for science," Wiese said. 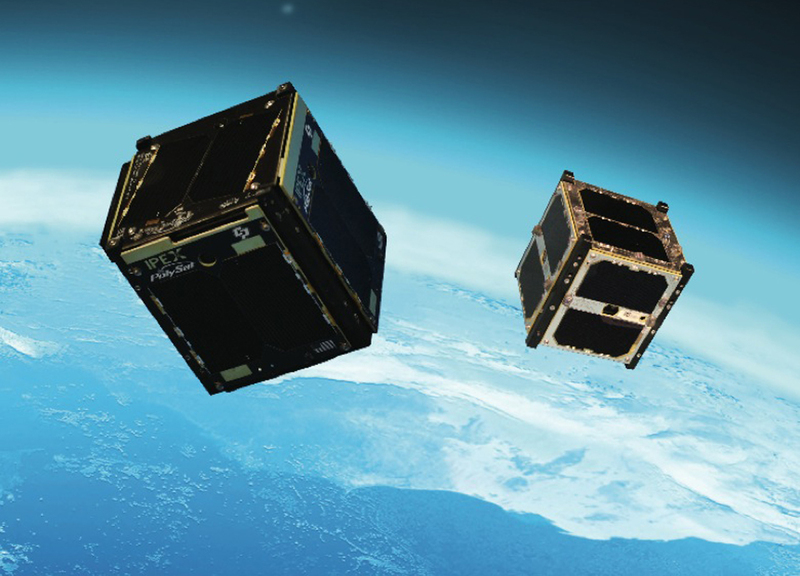 "We see this emerging capability to launch CubeSats as something the world is going to need." NASA's Launch Services Program is focused on assuring the availability of long-term launch services for NASA while also promoting the continued evolution of the U.S. commercial space launch market. The capability anticipated to meet the requirement for a smaller launch vehicle represents an emerging category of launch services.